The Mission: Open a rescue home to house, restore, and rehabilitate up to 30 women at a time. The Home: Offer the girls practical and emotional needs as well as serve as a vocational training center! How you can help: By donating your spare change, or any amount you desire, to help send me to care and love for these strong beautiful women! 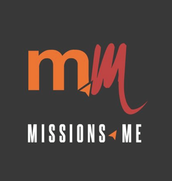 Missions.Me organizes innovative international outreaches. Whether it is introducing a street orphan to its new home, leading thousands in a prayer of salvation, offering medical relief to the suffering, or hosting large missions teams across the world. Missions.Me connects willing hearts to the vast harvest by pushing the limits of traditional missions and delivering high-impact ministry to cities and nations across the globe.